(Oregon Coast) – It’s a growing tourism and holiday tradition on Oregon’s coast, where families or groups of friends gather for a few days or a week, and hunker down somewhere along the coastline in a lodging or vacation rental of some sort. They take advantage of all the different features and surprises of the end of the year, with its mix of the wild and wooly storm season, holiday vibe, and the intermittent warmer days of December (surprise, yes they happen...click here for more). According to Barbara Shaw of Shaw’s Oceanfront Bed and Breakfast in Arch Cape, she sees a fairly large influx of holiday revelers throughout November and December each year, and this tourism trend seems to be increasing. Shaw said the groups are often families or collections of friends, anywhere from four to ten people. Vacation rentals see a large chunk of this kind of family retreat or gathering business on the coast, but many seek hotels or motels that can connect rooms or house sizable numbers of members of their group in some way. Here are a few suggestions for places perfect to huddle together for the holiday season. 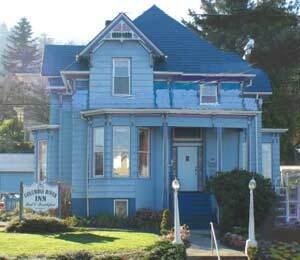 In Astoria, there’s the Columbia River Inn Vacation Home. A feeling of historic elegance will surround you as you enter this gracious Victorian vacation rental home, set amidst the atmospheric streets of Astoria. Built in 1870, this Queen Anne style “Painted Lady” features four bedrooms, each with its own private full bath - one with a Jacuzzi tub. Seaside boasts dozens of family attractions and amenities, and one rather dazzling gathering place is Weiss' Paradise Suites & Vacation Rentals. They’ve got some rather unique luxury accommodations in the form of one bedroom suites, duplex units with one or two bedrooms, houses with three bedrooms and units that house two to eight folks. You can rent the entire rental property for 20 to 26 people. 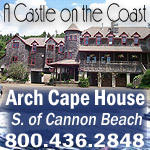 All units close to beach, river and Broadway St.
South of Cannon Beach, check out Shaw's Oceanfront Bed and Breakfast, in Arch Cape. Get ready to really get away from it all in an extraordinary setting that screams romance and/or relaxation, where you can have a stunning small home all to yourself – and still get breakfast cooked for you. 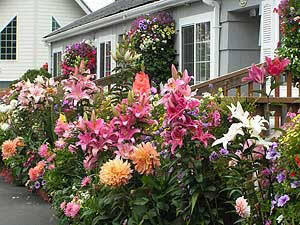 Shaw's Oceanfront Bed and Breakfast is on the north Oregon coast in beautiful Arch Cape, just four miles south of Cannon Beach – about halfway between Astoria and Tillamook. It is an achingly beautiful beachfront property, where mystifying Castle Rock sits offshore and fires up the imagination with interpretations of its shape. 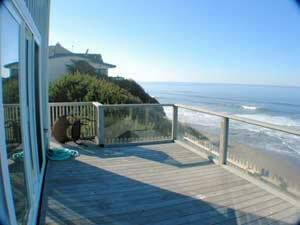 Step off the charming wooden deck, stroll through the seaside garden, and you're on the beach. Recline on the deck and enjoy the sunshine – which isn’t as rare as you might think this time of year - or sit back and soak up the view while the sound of the surf relaxes you. Shaws’ is one of those unforgettable places, close to the ocean, where you can watch storms with a unique perspective. Or, bask in the sun of those more-frequent-than-you-realize clear days of December, November and especially in the tiny, “hidden summer” of February, when the coast takes on about 14 days worth of balmy, calm weather. 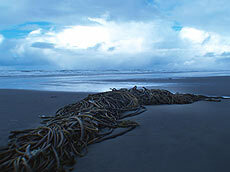 During winter storms, thrill to waves exploding against Castle Rock while a fire crackles in the fireplace. The guests' cozy living room is furnished with easy chairs, skylights, a sofa and more. Stretch out on the cushioned window seat and view the surf up close. You can watch the beautiful ocean, hordes of local pelicans and migrating whales, even from the dining area. The San Dune Inn in Manzanita is just blocks from the beach and features a bevy of adorable and slightly unusual fun features. Owner Brian Hines said his place is becoming increasingly popular with regulars during the winter months are doing retreats in sometimes-large groups. This cuddly little pet- and family-friendly charmer boasts a host of complimentary amusing stuff like beach games, beach chairs and bikes for carousing around town on, among other things. There are also free movies. Small pet fee. www.sanduneinn.com. 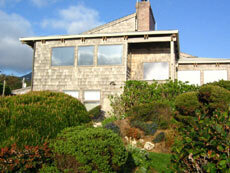 428 Dorcas Lane, Manzanita, Oregon. 503-368-5163. 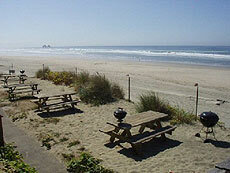 Another popular place for retreats is the Tradewinds Motel in Rockaway Beach – and for good reason. For those wanting bigger accommodations for family reunions or large gatherings such as weddings, some rooms can connect to create two-room and three-room suites. Down in Lincoln City, there’s something for everyone among the selection of wondrous homes at Lincoln City Vacation Homes. Find smaller homes with a view to a large house that sleeps 15. All the homes are either oceanfront or just a few steps away from the sand – all with a low bank access and fantastic views. Most are in the Nelscott area. You’ll find a variety of goodies, depending on the home: fireplaces, multiple bedrooms, dishwashers, Jacuzzis, washer/dryers, hot tubs, cable TV, VCR, barbecues; there’s a loft in one, and another sprawling home has two apartments. Some homes are pet friendly. Prices range from winter $85 to summer $230 per night. 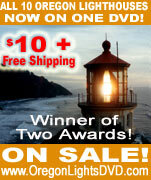 www.getaway2thecoast.com. 541-994-8778. 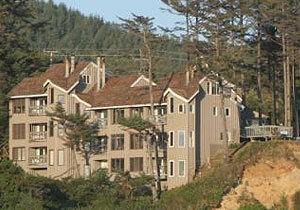 Also in Lincoln City, the Ashley Inn is ideal choice for big assemblages of loved ones. There are generously appointed guest rooms or spacious two-room suites. Thoughtful touches such as a delicious continental breakfast make you feel right at home. The Ashley inn is a 100 percent smoke free inn that features an indoor, heated saltwater pool and spa, a fitness room with aerobic equipment, high-speed Internet access via throughout the Inn and some pet rooms that allow dogs. There are select rooms with a Jacuzzi spa and ADA accessibility.